Coca Cola offers Freestyle with more soft drink choices than one can shake a stick out. Last reported it was in the area of 100 different flavors and selections like Diet Raspberry Coke you cannot get anywhere unless you are at a Freestyle machine and have passed a full military security check. But don’t let that stop you. An American icon like Coca Cola is only interested in delivering the most dynamic and best tasting selection of tooth sweating, mouth dribbling soft drinks. Actually they are even better than that! So what could even come close to the cola options A Freestyle machine can belch forth. Answer? Vision-Strike-Wear.Com Battle Rattle! Why? Cause there is of course the coolness factor but also because there are more hookup choices than singles night at the I Tappa Kegga Fraternity house. I mean c’mon that is a lot of choices? Right? Wrong! So here it is laying it on straight my cola drinking brothers and sisters: Vision-Strike-Wear.Com offers more choices in custom military design selections when the choices step from branch down to the weapons and even sunglasses your military design has when it comes to the selections you make and watch in real time as your military shirt transforms. I mean Coca Cola got it right and so did Vision-Strike-Wear.Com did when it comes to choices. It’s all about options whether its a Mrs. McCutcheon’s Pink Lemonade and Buzz Stand, A Coca Cola Freestyle Machine or Vision-Strike-Wear.Com Battle Rattle military options. Its all too cool for school! So with a Coca Cola Freestyle micro-dosed drink in hand take a look at some military tees with more options than……well you get the picture! New from Vision-Strike-Wear.com! Even more customization when you see the BATTLE RATTLE logo. Choose your Cover, Weapon or War Paint. 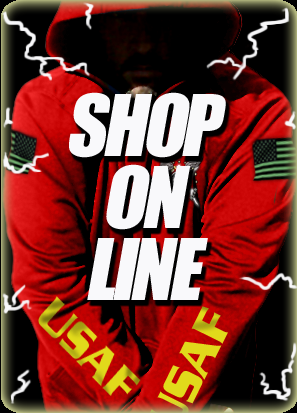 Vision-Strike-Wear.Com has created MORE military customization to change your BATTLE RATTLE design into a one-of-a-kind shirt, plaque or decal for yourself or a gift to someone you love serving in the Army, Navy, Air Force, Marines, or Coast Guard. All Vision-Strike-Wear designs are customizable! Items that can be customized include Men’s and Women’s Styles in Short and Long Sleeve Shirts, Crewnecks & Sweatshirts, Hooded-Sweatshirts (Hoodies), Tank-Tops, Decals and Poker Chips! Once you have selected your design you can choose what you would like the design to appear on in the options field. Vision-Strike-Wear.com customizable cutting-edge designs are available on T-shirt, Long Sleeves Shirts, Crewnecks & Sweatshirts, Hoodies, Tank-Tops, Decals, Stickers and more! Choose your favorite design on any of our items and Customize It!